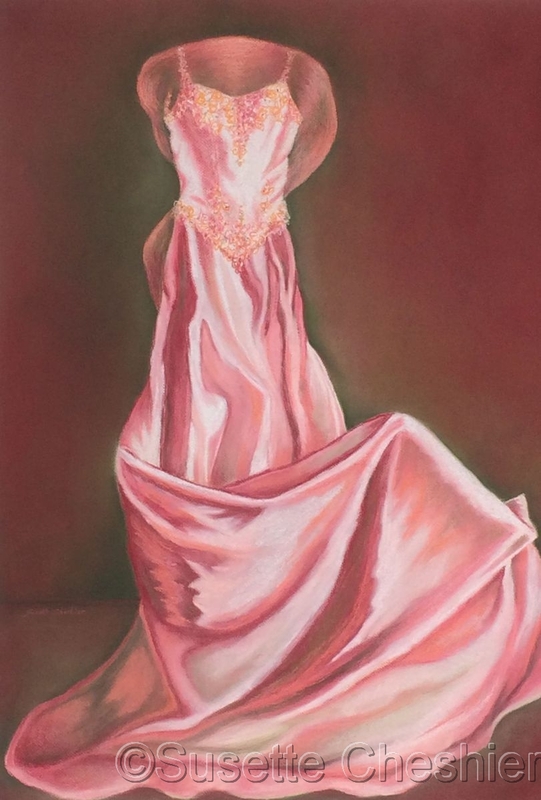 Pink wedding dress in dry pastel folded against a dark maroon/green background. Strong dark light pattern of colors from pink, peach, green, white to dark maroon. Shoulder wrap is also in peachy colors to accent the dress. 10.25" x 7"13.25" x 9"16.25" x 11"19" x 12.75"